After breakfast, we drive 16 km (around 45 minutes) by private car to the Kathamadu paragliding station at Godawari. The flight takes about 20 min and reaches 2100 m above sea level in Godawari. 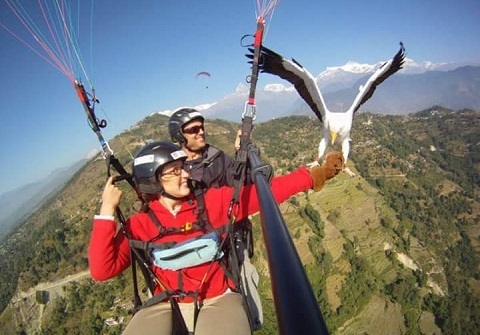 You an enjoy the panoramic view of some of the highest peaks and mountains in Nepal, city and valley views from a bird's eye view, while soaring above the clouds. Feel the high altitude of 2100 m above sea level. You can also see the only botanical garden in Nepal from above. We have 15 years experienced Korean and Thai pilots. 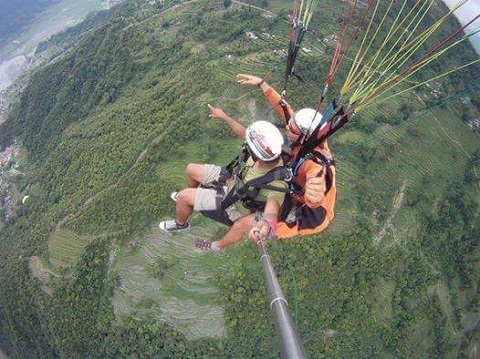 Kathmandu paragliding was established in 2007 having the objective of organising and promoting paragliding in the Kathmandu Valley. - Transportation to Godawari and back to Kathmandu. 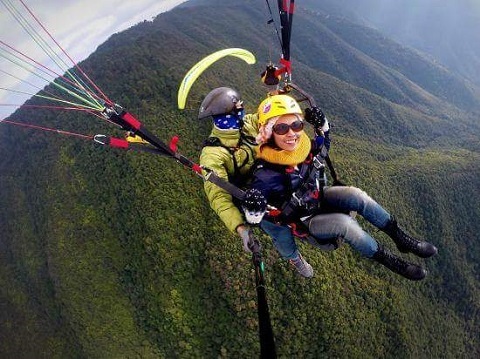 - Adventure drive to paragliding spot and 20 minutes paragliding flight. - Meal not mentioned as included. - Items not mentioned as included.